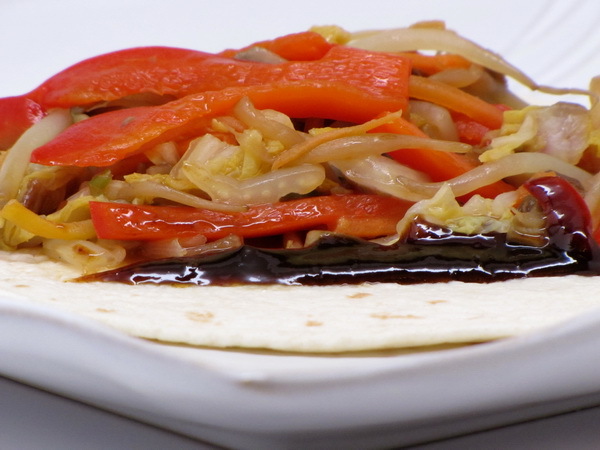 This is an excellent homemade version of vegetable moo shu that you can get at most Chinese restaurants. 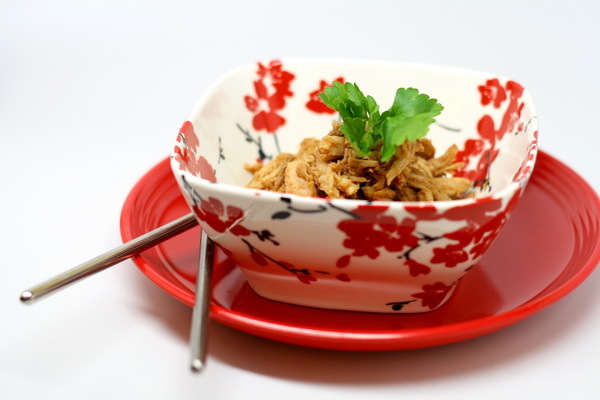 Hoisin sauce is available in the Asian section of most markets – be sure not to leave that out, it’s what makes this dish really authentic tasting. 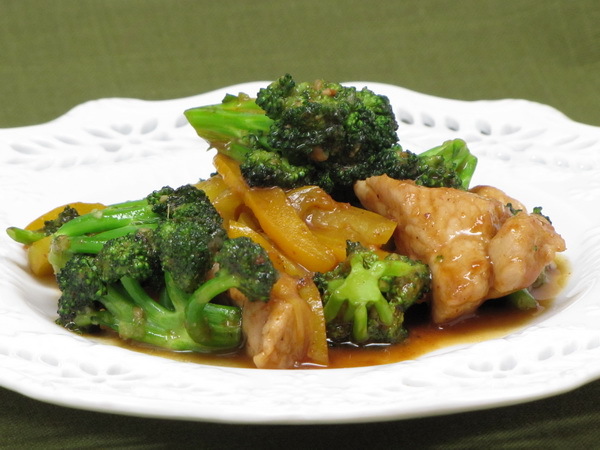 Combine stir fry sauce and cornstarch. Spray a skillet with Pam and heat to medium high then add cabbage, sprouts, mushrooms, onions, carrots and peppers and cook 5 minutes. Then add stir fry sauce and cook another 3 minutes. Spread 2 t hoisin sauce on each tortilla and then top each with veggie mix using a slotted spoon so liquid is left in the pan. Roll up each tortilla and serve with extra sauce and green onions. 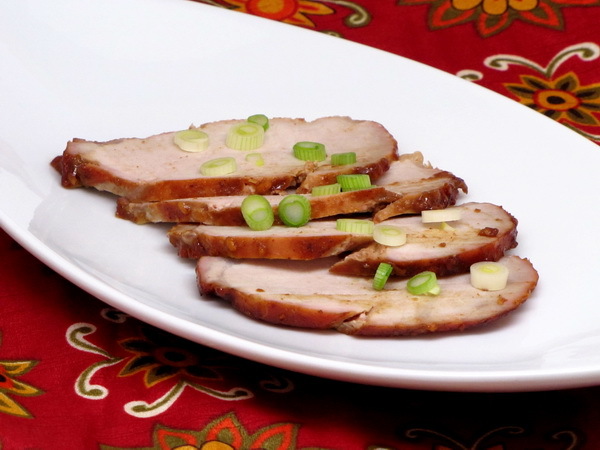 Hoisin sauce is available in your market’s Asian section – it is a sweet preparation that is used in many Asian dishes. This almost sounds too easy – but the results you get are phenomenal ! Out of all the ‘diet’ dishes I have been making over the months, this is the one I have made the most. Preheat oven to 350 degrees. Put all the ingredients in a zip loc bag and mush them all around to make sure the meat is evenly coated. Refrigerate at least 2 hours. You can also freeze the bag at this time and then defrost and use within a few weeks. Place meat on a wire rack and then place rack on a baking sheet (or you can just place directly on the baking sheet if you don’t have a rack). Squish out the rest of the sauce on top of the meat and then bake 1 hour.